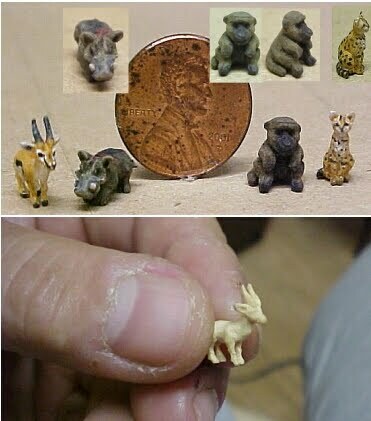 A warthog, Thompson's gazelle, serval and a Savanna baboon all hand carved and hand painted in 1:144 scale. Linda Master is such a fitting name for you!!!! You are indeed the MASTER carver. I can't believe how tiny those are, so cute!!! May AIM Magazine is OUT NOW! !